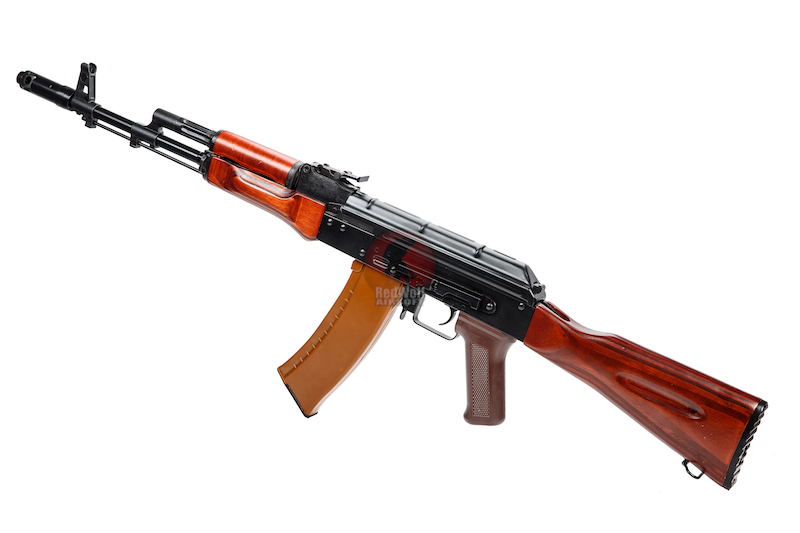 The AK-74 or "Kalashnikov automatic rifle model 1974, is an assault rifle developed in the early 1970s in the Soviet Union as the replacement for the earlier AKM (itself a refined version of the AK-47). 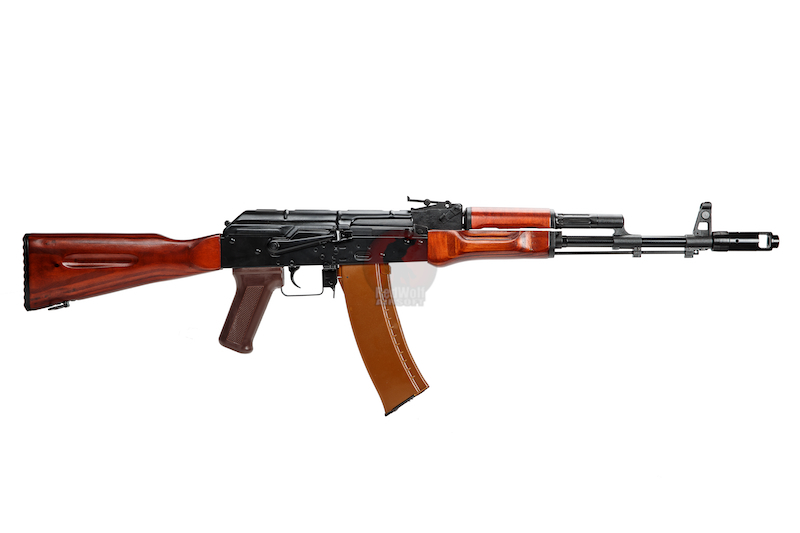 It uses a smaller intermediate cartridge, the 5.45ï¿½39mm, replacing the 7.62ï¿½39mm chambering of earlier Kalashnikov-pattern weapons. 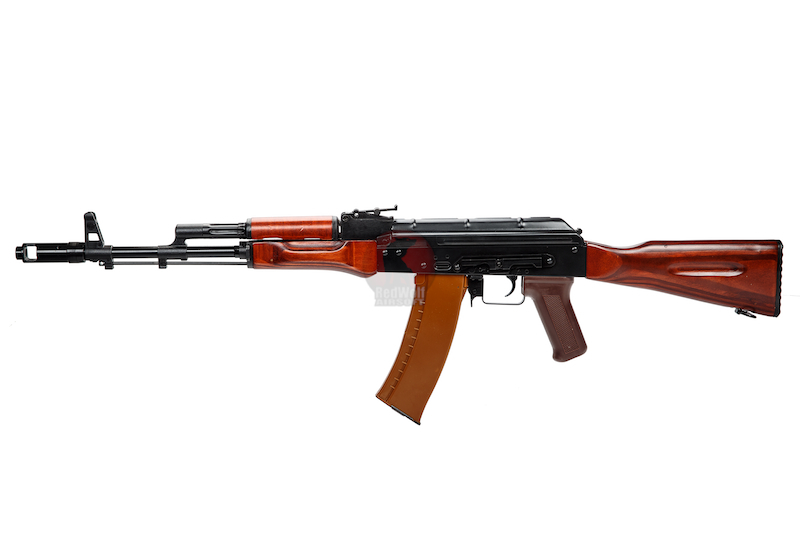 The LCK74 is a finely made AEG as it's made out of Aluminium, Steel and Real Wood to give its weight, which is around 3.5KG. 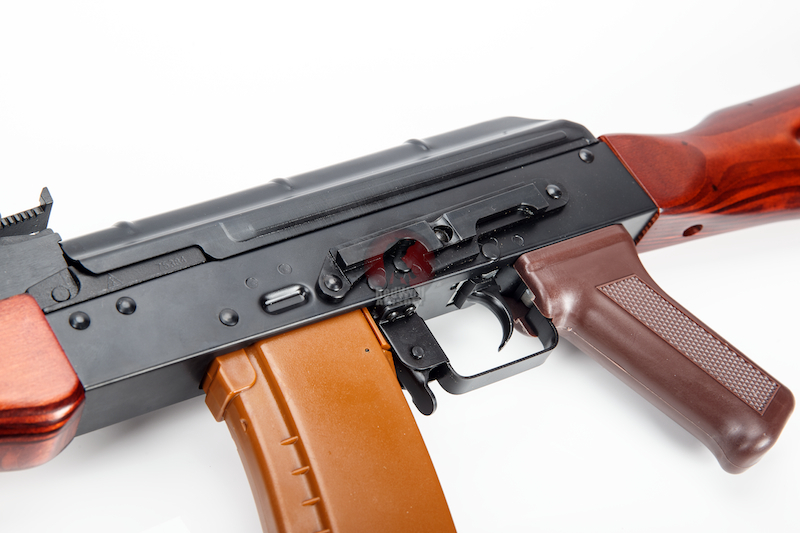 LCT tried very hard to make the best replicas as there are parts that really show off its AK74 qualities. For instance, the flash hider is a dead giveaway and the magazine is a lot slimmer as it holds different caliber bullets. The airsoft version's magazine holds 600 BBs. That's a LOT of BBs. When it comes to taking it for a spin, it shoots very well. Around 20 meters from your target, you'd hit it very frequently. 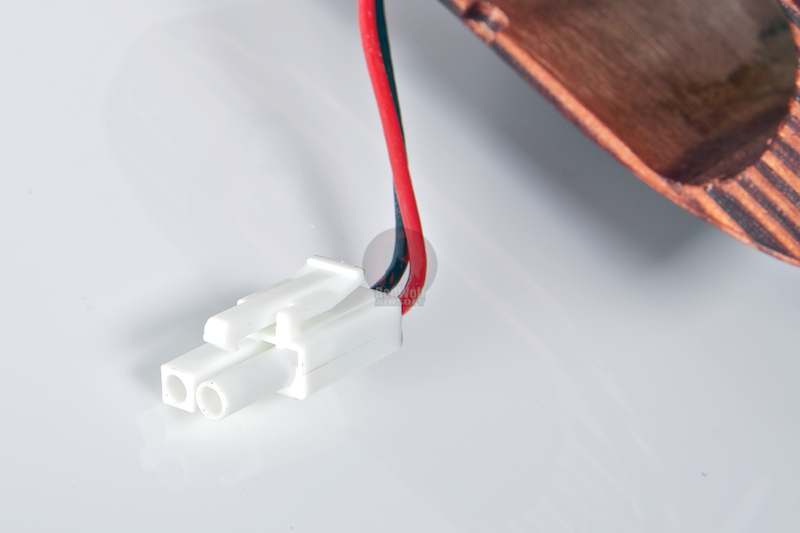 The hop up unit is very sensitive so we would suggest using 0.25g BBs to make up for it. The LCK47 is NOT a CQB weapon. It shoots at around 400 fps which is way too high but it's perfect for outdoor skirmishes. 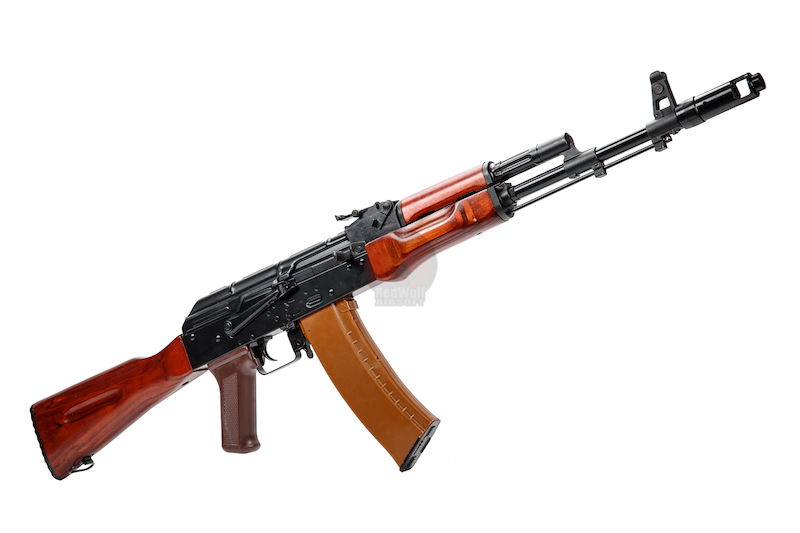 There is a reason why the Russians love these AKs and we can definitely see why in the LCT AKs.